David Reilly has more than 40 years of construction and design experience in the Buffalo region. As Vice President of Construction and Planning & Design, he leads the Construction and Planning & Design departments. 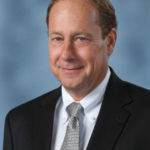 Throughout his tenure at Uniland, Mr. Reilly has led numerous fast-track and time sensitive design-build projects for a variety of product types including office and industrial parks, warehouse and manufacturing facilities, residential and dormitory housing, educational buildings, hotels, and retail plazas.